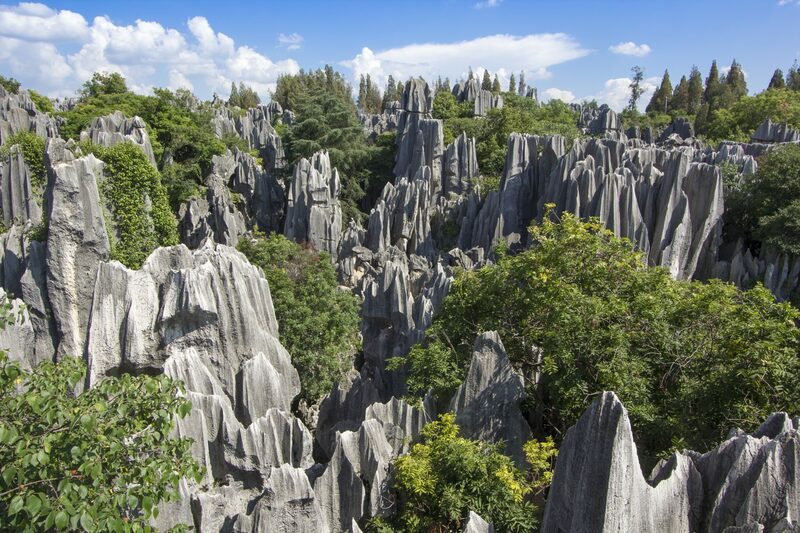 Fly to Kunming, the capital of Yunnan Province, where has a remarkably comfortable climate. 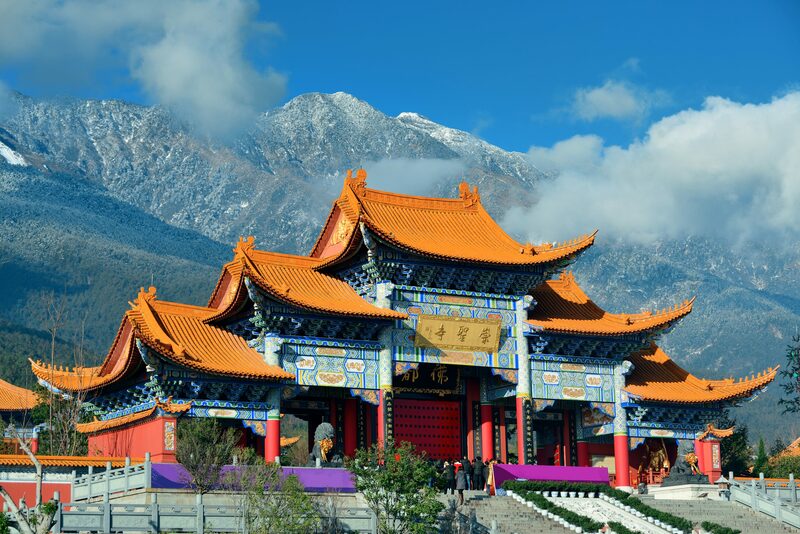 We’ll take a half-day tour around the Golden Palace Temple at the top of Mingfeng Hill which is the home of the Taoist Taihe Palace and the biggest copper temple in China. Then visit Dragon Gate and the Western Hills, a range of mountains that many claim has a silhouette that resembles Sleeping Beauty. Today we’ll drive to Dali, the capital of the ancient Nanzhao and Dali Kingdoms (it will take about four hours to get there). 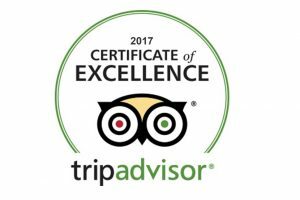 Here we’ll take a two-hour cruise on the beautiful and scenic Erhai Lake and marvel at the alpine environment. 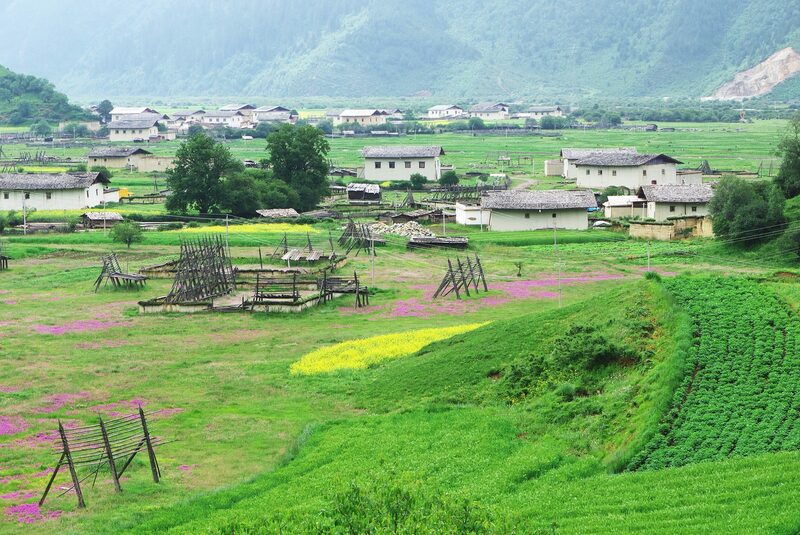 Then, visit Jin Suo Isle, where many people of the Bai ethnic minority live. Here is a fishing village and colorful market to experience before continuing on to see the Three Pagodas at the Chongsheng Temple. 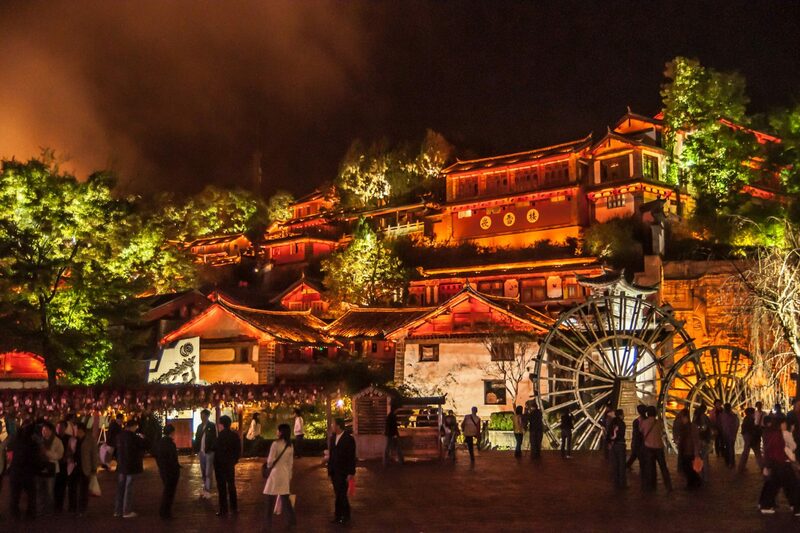 This is an amazing example of the 9th-century architecture and art of the Bai culture. 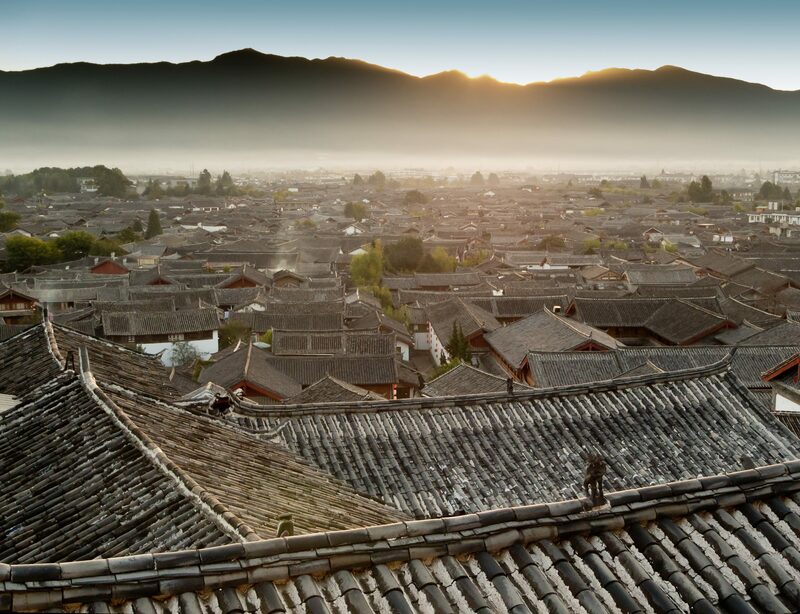 In the morning, drive to Lijiang and stop at the Village of Xizhou. The drive will take about three hours in total, and this is a very important stop. 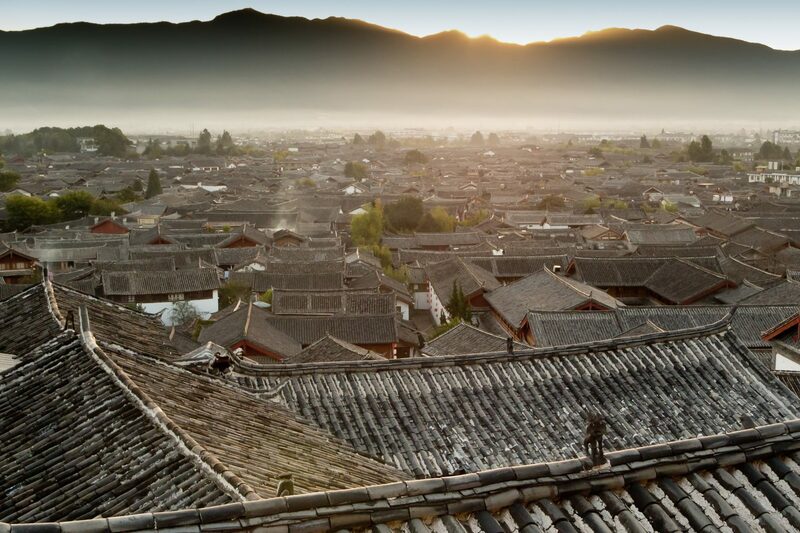 It was once a major stop on the trade route to Tibet, and the area flourished during the Ming Dynasty (1368 to 1644). We’ll visit a traditional Bai house today. 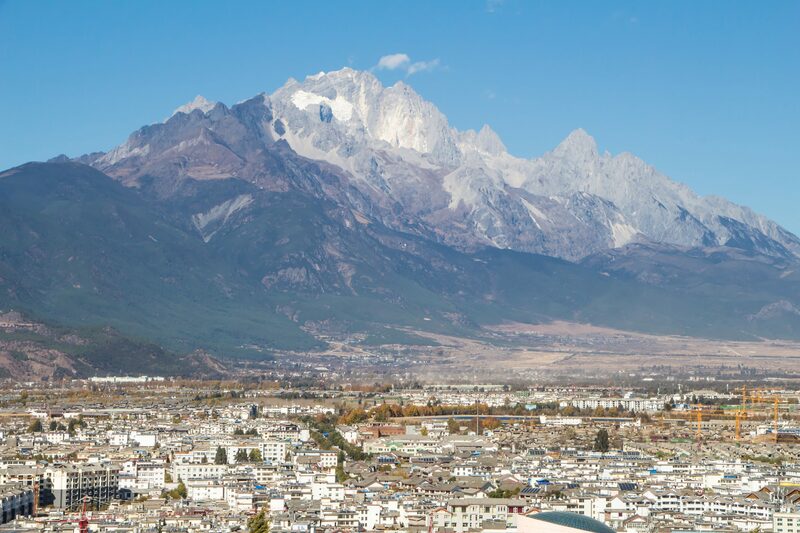 Lijiang has a very diverse population, and the Naxi ethnic minorities have a long history here. Their culture, traditions, clothing, and architecture have had a large influence on the area. Before the day is out we’ll visit the famous Black Dragon Pool and its Moon Embracing Pavilion, Five Phoenix Pavilion, and the Dongba Cultural Village. The homes here are wood-and-earth structures with tiled roofs and some incredible courtyards filled with flowers. Here you can visit the Mu Family Mansion and then move on to the Baisha Village and see the Ming and Qing Dynasty frescoes that are gathered there. The trip comes to an end today and transfers you to the airport for the flight home.